Doug McDonald founded Bancroft Capital in 1992. He currently leads Bancroft's acquisitions and analysis efforts. Formerly, Mr. McDonald held a post as a Project Manager at TELACU/Carpenter in Irvine, CA. His responsibilities included asset management and disposition of over $250 million in non-performing loans and real estate on behalf of the Resolution Trust Corporation (RTC). He began his professional life as a financial analyst at Merril Lynch and holds a bachelor's degree in business administration from the University of California at Berkeley. Randy ten Doesschate joined Bancroft in 1993 and brings to the team extensive knowledge of real estate and contract law. He came to Bancroft following a successful career at Oracle Corporation where he held the position of finance manager. Prior to that, Mr. ten Doesschate was with Miller, Starr & Regalia, a nationally recognized real estate law firm in the San Francisco Bay Area. He holds a bachelor's degree in legal studies from the University of California at Berkeley. Joe Lamkin came to Bancroft in 1997 and lends the team skills in market analysis, finance and communications. He was formerly with Southwest Airlines as manager of business development and began his career as a financial analyst with Rockwell International. Mr. Lamkin holds a bachelor's degree in economics from the University of California at Berkeley. Teresa Fourticq joined Bancroft in September 1999 as CFO and is responsible for all financial matters of the organization. Prior to Bancroft, Teresa was an assistant vice president with Oaktree Capital Management, LLC in Los Angeles. She honed her financial skills as an audit manager for Deloitte and Touche from 1992 to 1998. She is a Certified Public Accountant and holds a bachelor's degree from U.C.L.A. Bill King joined Bancroft in 2005 as acquisitions analyst. Previously, Mr. King was with Merrill Lynch in Los Angeles where his responsibilities included developing and managing long-term financial advisory relationships with high net worth individuals, families, charitable organizations, and small to mid-size businesses, development and implementation of financial plans and equities analysis. Bill holds a bachelor's degree in business administration from the University of North Carolina as well as Series 7 and 66 NASD licenses. Chairman of the Board, Cushman & Wakefield, Inc.
John Cushman became chairman of the board of Cushman & Wakefield in 2001 after the company merged with Cushman Realty. Mr. Cushman is a leader in the commercial real estate industry and is acknowledged by a variety of media sources as the top office leasing broker in the country. He was awarded Broker of the Year by the Los Angeles Business Journal for 1997. Mr. Cushman negotiated the largest office lease in the world, the world headquarters of Merrill Lynch & Company involving 4 million square feet (initial occupancy) at the World Financial Center in New York City. Mr. Cushman has also completed some of the largest and most complicated office building and land sales in the U.S., among them: the Merrill Lynch Building at One Liberty Plaza in New York ($375 million); the Mountain Bell Center in Denver ($235 million); and the Unocal headquarters complex in Los Angeles ($205 million). As an active member of the Los Angeles community, Mr. Cushman serves as: Vice Chairman of the Los Angeles Area Council of the Boy Scouts of America; member of the National Executive Committee of Boy Scouts of America and Treasurer of the National Council; on the Board of Governors of the Town Hall of Los Angeles; a Director of the Los Angeles World Affairs Council, the Los Angeles Police Historical Society, and the Los Angeles Sports Council; member of University of Southern California's CEO Board of Advisors and on the University of Colorado Business Advisory Council. He also serves on the national Board of Directors of Junior Achievement Incorporated, and as Trustee Emeriti of Colgate University. Mr. Cushman's directorships include: National Golf Properties, Inc.; Meditrust Corporation; Los Angeles Turf Club; Digital Gene Technology; Inglewood Park Cemetery; and Zaca Mesa Winery, where he also serves as Chairman. He graduated from Colgate University in Hamilton, New York and attended the Advanced Management Program at Harvard University. Hugh Grant served in leadership positions at Ernst & Young (Arthur Young & Company prior to 1989 merger) from 1958 to 1996. As Vice Chairman and Managing Partner for the Western United States, Mr. Grant had responsibility for all business, operating and professional aspects of the practice. This included 200 partners, 2,000 people and 19 offices spread over seven states. During this tenure, total fees grew from $55 million to $189 million. Mr. Grant also coordinated all Ernst & Young services for Lockheed Corporation, Fluor Corporation, Sante Fe International Corporation, and a number of other Fortune 500 companies. As a member of Ernst & Young's Management Committee for ten years, he was jointly responsible for all policy, professional, operating and financial matters of the firm. Mr. Grant's directorships include: Inglewood Park Cemetery, Director and Chairman of Audit Committee, present; Santa Barbara Group of Mutual Funds, Director and Chairman of Audit Committee; Annandale Golf Club, President and Chairman Long-Range Planning Committee; The California Club, Vice President and Director, Chairman of Finance Committee, and Treasurer; Southern California Golf Association, Director; and Orthopaedic Hospital, Director. Mr. Grant graduated from University of Kansas in 1958 with a degree in Business. Mr. King held many leadership positions at publicly traded organizations during his distinguished career: Chairman of the Board of First Bank of Beverly Hills, a $1.3B boutique bank specializing in the origination and acquisition of commercial and multi-family real estate loans; CEO of Aviation Distributors Inc., one of the world's largest aircraft part redistributors and inventory management service providers to major commercial airlines worldwide; Consultant to McCrory Corp., helping guide the owner of McCrory Stores, J.J. Newberry, H.L. Green and TG&Y to a successful turnaround and emergence from Chapter 11, 1995-97; Executive Vice President and President of the Electrical and Mechanical Groups of JWP, Inc., a $2 billion facility services company, 1990-94; President and Chief Operating Officer of International Technology Corporation, a $500 million diversified environmental management company, 1979-90; President of Leads Travelwear, Inc., an international luggage manufacturer, 1976-79; President of Davis Pacific Corp., owner of operating companies in cable television, farming and real estate, 1974-76; and Controller of North American Housing Operations at Kaufman and Broad, Inc., 1973-74. Mr. King's Directorships have included: International Technology Corp. (now The IT Group); HF Bancorp, Inc., Chairman of Audit Committee; Aviation Distributors, Inc.; Fort Wayne, IN Restaurant Group; and Member, Board of Visitors, University of North Carolina. He began his career as a Senior Consultant with McKinsey and Company in 1969 after graduating from Harvard Business School. He served as a Captain in the U.S. Marine Corps after graduating from the University of North Carolina, Chapel Hill, in 1964. 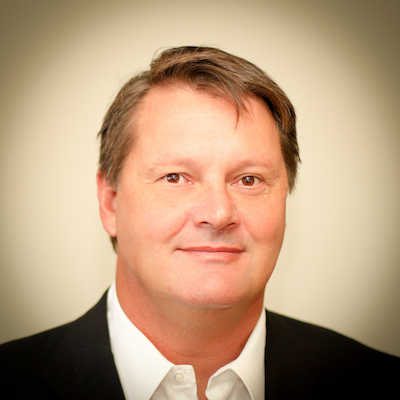 William Lamkin is a partner in Ackrell Capital LLC, a San Francisco based investment bank. Prior to Ackrell Capital, Mr. Lamkin was a Senior Vice President in the Investment Banking division of ABN AMRO, Incorporated, one of the largest banks in the world and the largest foreign bank in the U.S. In this capacity, Mr. Lamkin managed ABN AMRO's investment banking efforts for the semiconductor, semiconductor equipment and optical component industries. Prior to ABN AMRO, Mr. Lamkin held various investment banking positions with Donaldson, Lufkin & Jenrette, PaineWebber and Kidder Peabody. While at Kidder Peabody, Mr. Lamkin worked with the Real Estate Investment Banking Group and the Project Lease Finance Group on both public and private financings. Prior to his career in investment banking, Mr. Lamkin was a corporate attorney with Broad, Schulz, Larson & Wineberg in San Francisco, California. As a member of the firms Emerging Companies Group, Mr. Lamkin provided a broad array of legal services to start-up companies in a variety of industries. Before attending graduate school, Mr. Lamkin was a Trust Officer for National Bank of Washington, then the second largest bank in the District of Columbia. In this capacity, Mr. Lamkin managed all of the real estate assets for which the bank had fiduciary responsibility as Trustee or Executor, including more than 100 commercial properties. Mr. Lamkin began his career as a staff accountant with Horn Enterprises, at that time one of the largest real estate development companies in the Central Valley of California. Mr. Lamkin received his M.B.A. from University of California at Berkeley in 1990, his J.D. from University of California, Hastings College of the Law in 1991, and his B.A. from Westmont College in 1981. He is a member of the State Bar of California. Bruce Ludwig has had a career-long involvement in institutional and fiduciary real estate. He currently serves as Chairman of LUDWIG & Company, a Consultant and Middle East Representative to Clarion Realty Services. In 1981, Mr. Ludwig was one of four founding partners of Westmark Realty Advisors and TCW Realty Advisors. From 1981 through 1995, he was member of the five-person Westmark Executive Committee, and the Investment and Management Committees. Westmark had 160 employees and a $4.5 billion real estate portfolio under management at the time it was purchased by CB Richard Ellis in 1995. Mr. Ludwig served as Vice Chairman, a member of the Board of Directors and Executive Committee of Westmark Realty Advisors, subsidiary to CB Richard Ellis, from 1995 through 1997. In 1997, he formed LUDWIG & Company. Prior to co-founding Westmark/TCW Realty Advisors, Mr. Ludwig was employed by CB Commercial as a Shopping Center Specialist from 1964 to 1972, when he was appointed Director for Commercial Properties for the Southwest, Southeast and Eastern regions of the U.S. In 1975, he was appointed First Vice President, National Accounts, responsible for developing and maintaining relationships with major retailers and developers throughout the United States. Mr. Ludwig currently serves as: Officer, Trustee and member of the Executive Committee of The Urban Land Institute (ULI) and member of its Governance Committee; Officer and member of the Board of Governors of the Urban Land Foundation; International Council of Shopping Centers Trustee and Director of its Educational Foundation; member of the International Foundation of Employee Benefit Plans, National Council of Real Estate Investment Fiduciaries, National Association of Real Estate Investment Trusts (NAREIT), and the National Realty Committee, where he served on the Executive Committee and Board of Directors. Mr. Ludwig graduated from California State University with a B.S. in Finance.